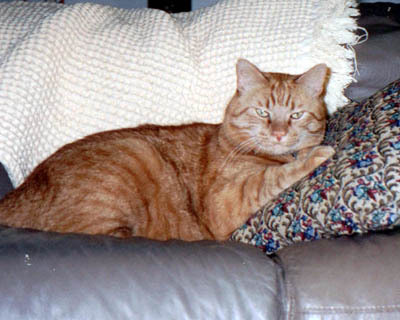 Jake was a stocky Manx with a stump of a tail and was the sweetest natured cat in the world. I adopted him when he was about 5 years old. He was diagnosed with heart disease but with medication and monitoring he lived to be 8 years old.